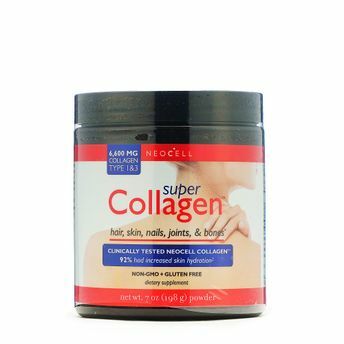 GNC Super Collagen Powder is 100% pure collagen protein that provides building materials for growth and maintenance of a healthy body. This powder is enzymatically processed into its amino acid form with a very low molecular weight, which can be utilized 100% by the body. It is neutral in taste and specially formulated in an easy to take powdered form. It works synergistically with Vitamin C and it is recommended that it be mixed with Orange juice because of its high Vitamin C content or taken along with a Vitamin C supplement.